Financial assistance The monthly financial aid for full-time Bulgarian students is between 50 and 90 BGL, and for full-time foreign students in accordance with inter-government regulations - 90 BGL. 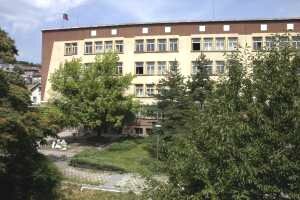 Admission requirements Entrance examination in mathematics or physics for engineering courses or mathematics or Bulgarian for economics courses is required for Bulgarian students. The language of instruction is Bulgarian. Departments: Automation, Information and Control Systems; Electronics; Power Engineering and Electrical Equipment; Computer Systems and Technologies; Communication Equipment and Technologies; Fundamentals of Power and Electrical Engineering; Physics; Chemistry and Ecology. Dean: Assoc. Prof. Anatoliy Aleksandrov, Ph.D. Basic academic disciplines: Mathematics; Physics; Chemistry; Technical Documentation; Programming and Computer Applications; Physical Education; Foreign Language; Theory of Electrical Engineering; Materials Science; Electrical Measurements; Semiconductor Components and Integrated Circuits; Mechanics; Pulse and Digital Circuit Devices; Control Theory; Electromechanical Devices; Digital and Microprocessor Engineering; System Theory; Measurements of Non-electrical Quantities; Technical Automation Devices; Digital Processing of Signals; System Simulation; Management of Economy; Manufacturing Processes Automation; Stochastic Processes in Control Systems; Microcontrollers in Control Systems; Philosophy; Sociology; Parameter and State Estimation in Control Systems; Control System Design; System Identification; Object-orientated Programming in Automation Systems; Industrial Safety. Basic academic disciplines: Statistic Methods in the Control Theory; Optimization Methods; Database; Ecosystems Modelling and Control; Computer Control Systems; Quality Management; Robotisation; Methods for Analyzing Magnetic Fields; Non-linear Systems Control. Major fields of research: Process Control Systems; Control Theory; Microprocessors. Head of the Department: Assoc. Prof. Toshko Nenov, Ph.D. The staff includes 8 lecturers. Basic academic disciplines: Mathematics; Physics; Chemistry; Technical Documentation; Programming and Computer Applications; Theory of Electrical Engineering; Materials Science; Electrical Measurements; Synthesis and Analysis of Algorithms; Analysis and Synthesis of Logic Circuits; Programming Languages; Digital Circuit Devices; Microprocessors; Technology of Programming; Computer Networks; Operation Systems; Computer Graphic Systems; Computer-based Internet Communications; Network Programming; Electromechanical Devices; Signals and Systems; Semiconductor Components and Integrated Circuits; Computer Peripherals; Computer System Design; Computer System Simulation; Engineering Automation; Computer Architectures; Computer Organization; Data Base; Information Systems; Artificial Intelligence Systems; Computer System Design; Distributed Systems; Distributed Databases; Machine Design; Physical Education; Foreign Language; Sociology; Economics; Management of Economy; Industrial Safety. Basic academic disciplines: Modern Information Technologies; Multimedia Systems; Mobile Internet Systems; Automated Teaching Systems; Microcontrollers in Communication; Satellite Cable Television Networks; Specialized Computer Architectures; Business Information Systems; Quality Management; Digital Television. Major fields of research: Computer Systems; Computer Technologies; Computer Networks; Automated Information and Control Systems; Artificial Intelligence Systems. Head of the Department: Assoc. Prof. Radoslav Raychev, Ph.D. The staff includes 13 lecturers. Basic academic disciplines: Mathematics; Physics; Chemistry; Technical Documentation; Programming and Computer Applications; Physical Education, Foreign Language; Theory of Electrical Engineering; Materials Science; Electrical Measurements; Semiconductor Components; Machine Design; Engineering Graphics; Microelectronics; Pulse and Digital Devices; Electromechanical Devices; Signals and Systems; Philosophy; Digital Circuit; Pulse and Digital Devices; Analog Circuit Devices; Theory of Electronic Circuits; Control Theory; Microelectronic Constructions and Technologies; Microprocessor Circuit Devices; Measurements in Electronics; Design Automation, Sensors; Power Supply Devices; Converters; Design and Technology of Electronic Equipment; Computer Systems and Applications; Economics; Electronic Devices in Power Supply; Electronic Apparatus Design; Electronic Systems for Data Collection and Processing; Management of Economy; Sociology; Electronic Manufacturing Processes and Devices; Electronic Technological Household Facilities; Electronic Regulators for Electric Drives; Single-chip Microcomputers; Optoelectronics; Electronic Diagnostic Devices; Industrial Safety. Basic academic disciplines: Microprocessor Devices Design; Theory of Experiment; Industrial Electronic Devices and Systems � I and II; Optoelectronic Systems in Electronics; Infra-red Optoelectronics; Electric Systems Design; Electronic Systems Reliability; Electronic Technologies; Management Systems; Non-linear Systems Management; Electromagnetic Compatibility; Design of Specialized Integral Chips. Major fields of research: Theory of Electronics; Circuits and Circuit Engineering; Microelectronics; Quantum and Optoelectronics; Electronization; Industrial Electronics; Automation and Computer Engineering; Elements and Devices. Head of the Department: Assoc. Prof. Andrey Kirchev, Ph.D. The staff includes 15 lecturers. Basic academic disciplines: Mathematics; Physics; Chemistry; Technical Documentation; Programming and Computer Application; Physical Education; Foreign Language; Theory of Electrical Engineering; Materials Science; Electrical Measurements; Semiconductor Components and Integrated Circuits; Machine Design; Digital Circuits and Systems; Electromechanical Devices; Signals and Systems; Philosophy; Communication Circuits; Analogue Circuits and Systems; Radiowave Engineering; Microprocessors; Digital Signal Processing; Power Supply Devices; Industrial Safety; Communication Systems; Measurements in Communications; RadioCommunications; Communication Equipment Design; Economics; Computer Systems; Optical Communications; Television; Commutative and Multiplexing Engineering; Management of Economy; Sociology; Video and Audio Engineering; Mobile Communications; Communications Protocols; Security Systems; Computer Aided Design; Analysis and Synthesis of Circuits; Data Transmission; Computer Communications; Technology of Communications; Communication Networks and Systems. Basic academic disciplines: Cellular Communication, Digital Communication; Satellite and Cable TV Networks; Microcontrollers in Communication; Multimedia Systems; Automated Training Systems; Intellectual Property; High-speed Communication; Modeling in Communications; Electromagnetic Compatibility; Quality Management; Business Information Systems; Modern Information Technologies; Digital Television. Major fields of research: Digital Communication; Fundamentals of Communication; High-frequency Communication. Head of the Department: Assoc. Prof. Kiril Koychev, Ph.D. The staff includes 10 lecturers. Basic academic disciplines: Mathematics; Physics; Chemistry; Technical Documentation; Programming and Computer Applications; Physical Education; Foreign Language; Theory of Electrical Engineering; Electrical Engineering Materials; Electrical Measurements; Engineering Mechanics; Materials Science; Mechanical Components and Mechanisms; Electronics; Heat Power Engineering; Electric Networks and Systems; Philosophy; Electric Devices; Electric Machines; Fundamentals of Automation; Electrical Section of Power Plants and Substations; High Voltage Technology; Overvoltages in Power Systems; Industrial Safety; Lighting and Wiring Engineering; Hydraulic Machines and Pneumatics; Power Technologies and Ecology; Ecological Power Technologies; Digital and Microprocessor Technology; Economics; Automated Electric Drives; Electric Equipment, Electric Power Supply; Operation of Electrical Systems; Management of Economy; Sociology; Industrial Power Supply Systems; Electric Equipment for Manufacturing Processes; Electrical Technologies; Operation of Automatic Devices and Systems. Basic academic disciplines: Applied Computer Methods; Modern Mathematic Methods for Engineers; Control and Measurement in Electromechanic and Power Engineering Systems; Automation of Industrial Power Engineering; Experimental Work and Optimization; Control Systems of Electric Drives; Renewable Energy Sources; Electromagnetic Compatibility; Electrical Equipment of Special Machinery and Equipment. Major fields of research: Electrical Machines and Apparatus; Electromechanical Devices and Systems; Automated Electric Drive and Electrical Equipment; Lighting Equipment; Renewable Energy Systems. Head of the Department: Assoc. Prof. Stoyo Platikanov, Ph.D. The staff includes 9 lecturers. EDUCATIONAL QUALIFICATION DEGREE OF MASTER'S IN: Automation, Information and Control Systems; Computer Systems and Technologies; Electronics; Communication Equipment and Technologies; Power Engineering and Electrical Equipment. Departments: Mechanical and Precision Engineering; Mechanical Engineering Equipment and Technologies; Textile Machines and Technologies; Engineering Mechanics; Materials Science and Technology; Machine Elements and Technical Drawing; Mathematics; Power Engineering. Dean: Assoc. Prof. Georgi Rashev, Ph.D. Basic academic disciplines: Mathematics; Physics; Chemistry; Materials Science; Applied Geometry and Engineering Graphics; Informatics; Physical Education; Mechanics; Technology of Engineering Materials; Electrical Engineering and Electronics; Foreign Language; Strength of Materials; Heat Engineering; Fluid Mechanics; Philosophy; Theory of Mechanisms and Machines; Machine Elements; Metrology and Instrumentation; Sociology; Fundamentals of Machine Manufacturing Technology; Cutting of Materials; Cutting Tools; Computerized Control of Manufacturing Equipment; Technological Processes of Mechanical Treatment; Programming and Operation of Cutting Tools; Programming, Adjustment and Operation of CNC Machines; Machine Tools and Cutting Automatic Machines; Technology of Blank Production; Tooling Equipment; Automation of Machine Manufacture; Nonconventional Technologies in Mechanical Engineering; Technology of Cutting Tool Manufacture; Manufacturing Processes and Equipment for CNC Machines; CAD in Engineering Industry; Technological Equipment; Factory Planning and Forecasting; Economics and Company Management; Industrial Safety; Automated Design of Tooling Equipment; CAD-CAM Systems in Machine Manufacture. Basic academic disciplines: Optimization of Objects in Mechanical Engineering; Systems for Quality Management; Numerical Methods in Mechanics of the Continuous Medium; Design of Instrumental Equipment for Injection Modelling; Intellectual Property; Industrial Marketing; Mechanic Vibrations; Technological Methods for Quality Management; CAD/CAM Design Methods; Technological Design of Mechanical Engineering Enterprises; Metal Cutting Systems Design with Automated Control; Testing of Mechanical Engineering Materials; Fitting Technology and Automation. Major fields of research: Technologies and Tools for Finishing; New Constructions of Tools; New Cutting Materials and Elements Based on Mineral-ceramics. Head of the Department: Assoc. Prof. Ivan Rachev, Ph.D. Basic academic disciplines: Mathematics; Physics; Chemistry; Engineering Drawing; Materials Science; Engineering Graphics; Informatics; Physical Education; Sociology; Foreign Language; Technology of Engineering Materials; Fluid Mechanics; Philosophy; Strength of Materials; Engineering Mechanics; Metrology and Instrumentation; Thermodynamics; Processes and Equipment for Mechanical Treatment; Plastic Working of Metals; Heat Transfer; Design of Machines and Equipment; Non-metallic Materials; Machine Elements; Electrical Engineering and Electronics; Crystallography; Powder Metallurgy; Industrial Recycling Technologies; Welding of Materials; Heat Treatment of Materials; Structural Analysis; Computer Aided Design; Heat Treatment of Materials; Industrial Marketing; Economics; Casting of Materials; Chemical Heat Treatment; Electrophysical and Electrochemical Methods of Material Treatment; Computer-based Methods for Engineering Analysis; Materials Testing and Analysis; Manufacturing Systems; Industrial Safety; Innovation Management; Sheet Working Technologies; Factory Planning and Forecasting; Modern Manufacturing Technologies. Basic academic disciplines: Systems for Quality Management; Intellectual Property; Composition Materials; Industrial Design and Ergonomics; Financial and Economic Analysis of the Firm; Complex Pollution Averting and Control; Laser, Plasma and Ultrasonic Equipment and Technologies; Optimization of Technological Processes in Materials Working; Engineering; Precise Casting of Non-ferrous Metals and Alloys. Major fields of research: Materials Science; Welding; Casting; Physics of Materials; Non-conventional Technologies of Material Treatment; Electrophysical Processes. Head of the Department: Assoc. Prof. Emil Kostov, Ph.D. The staff includes 11 lecturers. Basic academic disciplines: Mathematics; Physics; Chemistry; Materials Science; Applied Geometry and Engineering Graphics; Informatics; Foreign Language; Physical Education; Mechanics; Technology of Engineering Materials; Strength of Materials; Automated Design Engineering Techniques; Fluid Mechanics; Theory of Mechanisms and Machines; Elements of Machines and Devices; Metrology and Instrumentation; Heat Engineering; Electrical Engineering; Electronics; Instruments for Physicomechanical Quantity Measurement; Production Engineering; Interchangeability and Styandardization; Fine Mechanic Engineering; Technical Optics and Optical Instruments; Technology of Mechanical and Precision Engineering; Internal Combustion Engines; Machine Dynamics; Information Processing Equipment; Elements of Automatic Equipment; Hydro and Pneumatic Drives; Quality Management and Control; Control Automation; Recording Devices; Laboratory Instruments; Mechatronics; Destruction Mechanics and Operational Strength; Noise and Vibration in Machines; Automation and Robotization of Manufacturing Processes; Mechanical Handling Equipment; Microtechnology; Machine Testing; Economics; Industrial Safety; Company Management; Measuring Transducers; Computer Aided Methods of Engineering ; Motor Vehicles, Tractors and Industrial Trucks; Equipment for Environmental Protection. Basic academic disciplines: Materials Science and Technology; Applied Geometry and Engineering Graphics; Mechanics; Strength of Materials; Metrology and Instrumentation; Machine and Appliances Elements; Theory of Machines and Mechanisms; Heat Engineering; Fluid Mechanics; Mechanical Production Engineering; Mathematics; Mechanic Vibrations; Mechanisms Design; Systems for Quality Management; Intellectual Property; Environment Monitoring; 3-D Constructions Modelling; Vibro-acoustic Diagnostics. Major fields of research: Automated Design and Technologies for Fine Mechanics Components and Devices; Photoelectric Converters; Diagnostics. Head of the Department: Assoc. Prof. Dimitar Dichev, Ph.D. Basic academic disciplines: Mathematics; Physics; Informatics; Applied Geometry and Engineering Graphics; Materials Science; Chemistry; Technology of Engineering Materials; Physical Education; Electrical Engineering and Electronics; Foreign Language; Philosophy; Fluid Mechanics; Strength of Materials; Mechanics; Heat Engineering; Metrology and Instrumentation; Sociology; Machine Elements; Computer Aided Methods in Hydraulic and Pneumatic Engineering; Theory of Mechanisms and Machines; Heat Hydraulics; Hydro and Pneumatic Drives; Turbo-pumps, Turbo-compressors and Fans; Bulky Hydraulic and Pneumatic Machines; Hydro, Pneumatic and Heat Quantity Measurement; Machine Manufacturing Technology; Mechanical Handling Equipment; Water Turbines; Theory of Automatic Regulation and Control; Hydro and Pneumatic Automation; Hydraulic Transmission; Heating Equipment; Refrigerating Equipment; Refrigerators and Refrigerating Installation; Hydro and Pneumatic Transport and Special Pumps; Electrical Equipment of Hydro and Pneumatic Machines; Safety at Work; Economics; Ventilating and Air-conditioning Equipment. Basic academic disciplines: Hydroelectric Power and Pump Stations; Modelling and Simulation of Dynamic Processes; Selected Chapters of Mathematics; Marketing and Management; Reliability and Diagnostics; Theory of Experiment; Mechanical Vibrations; Hydro-pneumatic Drives of Special Machines; Two-phase Systems; Dynamics of Automated Hydro-pneumatic Systems; Unconventional Energy Sources; Hydrodynamic Screens; Heat Exchangers; Fluidized Systems in Industry. Head of the Department: Prof. Ventsislav Zimparov, Ph.D. Basic academic disciplines: Mathematics; Physics; Chemistry; Materials Science; Applied Geometry and Engineering Graphics; Technology of Engineering Materials; Informatics; Physical Education; Mechanics; Sociology; Foreign Language; Strength of Materials; Textile Materials Science and Testing; Fluid Mechanics; Philosophy; Theory of Mechanisms and Machines; Machine Elements; Heat Engineering; Spinning Machines and Processes; Machines and Processes in Weaving; Knitting Machines and Processes; Basics of Computer Aided Design of Textile Machines; Textile Factory Design; Electrical Engineering and Electronics; Sewing Machines and Processes; Theoretical Basis of Spinning; Design and Texture of Fabrics; Design and Texture of Knitwear; Clothes Design; Metrology and Instrumentation; Looms Design; Spinning Machines Design; Knitting Machines Design; Sewing Machines Design; Textile Machines Dynamics; Textile Machines Reliability; Operation and Repair of Textile Machines; Chemical Technology of Textile Materials; Automation of Manufacturing Processes in Textile Industry; Manufacturing Processes in Engineering Industry; Industrial Safety; Economics. Basic academic disciplines: Theory of Engineering Analysis; Quality Management Systems in the Textile Industry; Air-conditioning and Drying Equipment in Textile Technologies; Design of Technical Textile Articles; Automated Systems in the Light Industry; Computer Aided Methods in the Continuous Media; Management of Textile Companies; Transport Systems in the Textile Industry; Machines and Processes for Non-woven Fabric; Legal Ties in Business. Head of the Department: Assoc. Prof. Ivan Ivanov, Ph.D. Basic academic disciplines: Mathematics; Informatics; Materials Science; Applied Geometry and Engineering Graphics; Physics; Chemistry; Physical Education; Mechanics; Foreign Language; Technology of Engineering Materials; Machine Elements; Fluid Mechanics; Electrical Engineering; Strength of Materials; Measuring Equipment; Heat Engineering; Manufacturing Processes; Machine and Equipment Design; Electronics; Production Modernization; Industrial Hydro and Pneumatic Engineering; Modern Production Technilogies in Industry; Control Theory; Computer Aided Design; Electrical Drives and Equipment; Industrial Production Management; Economics; Applied Programming; Data Collecting and Processing Systems; Technical Devices for Automation; Power Machines; Heat Power Installations; Process Control Systems; Fundamentals of Management; Sociology; Quality Control; Industrial Safety. Basic academic disciplines: Power Engineering; Marketing and Management; Modelling and Simulation of Dynamic Processes; Theory of Experiment; Reliability and Diagnostics; Mechanic Vibrations; Dynamics of Automated Systems; Unconventional Energy Sources; Ventilating and Air-conditioning Equipment; Computer Methods for Continuous Media; Electrical Equipment of Companies. Major fields of research: Social Management; Production Management; Planning and Forecasting; Human Resources Management; Entrepreneurship; Marketing. Basic academic disciplines: Mathematics; Informatics; Physics; Chemistry; Applied Geometry and Engineering Graphics; Physics; Materials Science; Mechanics; Technology of Engineering Materials; Strength of Materials; Physical Education; Foreign Language; Sociology; Philosophy; Theory of Mechanisms and Machines; Machine Elements; Fluid Mechanics; Metrology and Instrumentation; Thermodynamics; Electrical Engineering; Electronics; Interchangeability and Standardization; Fine Mechanic Engineering; Chemical Processes in Environment; Technology of Mechanical and Precision Engineering; Instrumental Methods in Environmental Monitoring; Ecology, Pollution and Impact on Ecosystems; Heat and Mass Exchange Technological Processes; Environmental Monitoring Sensors; Environmental Monitoring Devices; Renewable Energy Sources; Environmental Monitoring Devices; Manufacturing Equipment; Metrology and Instrumentation; Mechanical Technologies and Equipment for Waste Treatment; Chemical Technologies and Equipment for Waste Treatment; Measuring and Recording Systems; Quality Management and Control; Vibration Analysis and Noise Protection; Chemical Technology and Equipment of Fluid Treatment; Mechanical Technology and Equipment of Fluid Treatment; Low-pollution and Non-waste Technologies; Economics; Company Management; Industrial Safety. Basic academic disciplines: Information Systems; Management of Nature Resources; Systems for Quality Management; Waste Control, Dangerous Substances and Environment; Global and Transnational Ecological Problems; Complex Pollution Averting and Control; Ecological Marking; Control Systems for Safety at Work; Ecosystems Modelling; Sustainable Quality Management; Total Quality Management. Major fields of research: Polymers; Environment Control System; New Materials; Bioelectronics; Analytical Chemistry; Ecological Monitoring. Head of the Department: Assoc. Prof. Grigor Boyadjiyski, Ph.D. The staff includes 7 lecturers. EDUCATIONAL QUALIFICATION DEGREE OF MASTER'S IN: Mechanical Engineering Equipment and Technologies; Materials Science and Technology; Mechanical and Precision Engineering; Hydraulic and Pneumatic Equipment; Textile Machines and Technologies; Industrial Engineering; Environment Protection Equipment and Technologies. Departments: Management and Marketing; Economics; Social Sciences; Industrial Management; Applied Informatics; Foreign Languages; Physical Education and Sports. Dean: Assoc. Prof. Anyuta Nikolova, Ph.D. Basic academic disciplines: Economics; History of Economics; Economics of the Industrial Enterprise; Fundamentals of Management; Psychology; Theory and Automation of Accounting; Economics of Labour; Social Policy; Planning and Prognostication; Human Resources Management; Organizational Behaviour; Psychology of Management; Fundamentals of Marketing; Business Communications; Corporative Finance; Accounting; Environment Control Systems; Commercial and Labour Law; Quantitative Methods of Management; Quality Management; Statistics; Information Management Systems and Technologies; Economic Diagnostics; Strategic Management; Production Management; Organizational Design; Market Research; Management of Investments; Risk and Insurance Management; International Economic Relations and International Trade; International Finance and Accounting Standards; Philosophy; Sociology; Political Science; Business Ethics; Project Funding; Intellectual Property Management; Fundamentals of Machine Manufacture; Production Systems and Technologies in Machine Manufacture; Equipment and Technologies in Metal Working; Fundamentals of Communications; Computer-based Communications; Radio Communication Engineering; Fundamentals of Electronics; Electric Drives and Equipment; Electronics; Mathematics; Informatics; Foreign Language; Physiacl Education. Basic academic disciplines: Personnel Management; Theory and Practice of the Enterprising Business; Systems for Personnel Management; Approaches, Methods and Systems for Personnel Management; Forms of Personnel Stimulation; Information Systems of Personnel Management; Design of a Normative System for Personnel Management; Finances; Eurofinances; Investments and Stock Exchanges; Financial and Economic Analysis in Financial Organizations; Bank Accounts Management; Management of Insurance Business; Insurance Accountancy; Reengineering in Financial Organizations; Production Management; Industrial Marketing; Systems for Personnel Management; Standards and Quality; Projects Management; Systems for Automated Planning, Accounting and Analysis of Production Work. Major fields of research: Social Management; Production Management; Planning and Forecasting; Human Resources Management; Entrepreneurship. Head of the Department: Assoc. Prof. Rumyana Neykova, Ph.D. Basic academic disciplines: Fundamentals of Social Work; Fundamentals of State and Law; Philosophy; General and Age Psychology; Foreign Language; Physical Education; Fundamentals of Management; Economics; Labour and Social Security Law; Matrimonial and Succession Law; Planning of Social Work; Methods of Social Work; General and Labour Sociology; Labour Economics; History of Economics; Communications and Public Relations; General and Specific Pedagogy; Informatics; Organization and Management of Social Work; Demography and Statistics; Anatomy and Physiology; Social Psychology; Social Work with Persons of Deviant Behaviour; Social Care for the Elderly; Anthropology; Public Finance; Social Policy; Ecology and Communal Hygiene; Political Science; Social Security and Health Insurance; Social Medicine; Somatopathology; Fundamentals of Accounting; Culture and Ethics of Relations; Working with NGOs; Study of Conflicts; Economics of the Public Enterprise; Team Work; Information Provision of Social Work; Marketing of Social Work; Labour and Social Rehabilitation; Social Medical Care; Charity and Charity Organizations; Human Rights and Liberties; Euro-integration in Social Work; Maternity and Child Care Programmes; Social Programmes for the Poor and the Marginal Groups; Fundamentals of Research. Basic academic disciplines: Social Policy and Social Relations; Selected Chapters from General and Age Psychology; Matrimonial and Succession Law; Labour and Social Security Law; Political Science; Marketing of Social Work; Working with Non-Governmental Organizations; Charity and Charity Organizations; General and Work Sociology; Social Psychology; Public Relations; Information Systems and Technologies; Methods of Social Work; Social Medicine; Economics and the Public Sector; Social Euro-integration; General and Specific Pedagogy; Team Work; Rhetorics; Refugees� Law; Introduction to European Canon Law. Head of the Department: Assoc. Prof. Angelina Pencheva, Ph.D. Basic academic disciplines: Fundamentals of Public Administration; Information Provision of Administration; Economics; Philosophy; Foreign Language; Physical Education; Sociology; Psychology of Management; Constitutional Law; Political Science; Public Sector Economics; Public Finance; Administrative and Legal Issues of Labour; History of Bulgarian Economic and Administrative Institutions; Fundamentals of Management; Social Psychology; Labour Market and Unemployment; Territorial and Administrative Organization of Settlements; Statistics; Politics and Public Authority; Culture and Ethics of Relations; Social Security; Emergency Risk Management; Introduction to Accounting; Administrative Law and Process; Regional Economics; Control in Public Sector; Quality Management; Administrative Management; Local Self-government; European Union Law; Social Policy; Fundamentals of Civil Law; Quantitative Methods in Management; Marketing of Social Work; Public Relations and Communications; Taxes and Taxation; Records and Archives Keeping; Diplomacy and Protocol; Team Work; Organizational Structuring and Development of Territorial Units; Ecology and Communal Hygiene; Euro-integration; State Authority and Administration; Working with NGOs; Study of Conflicts. Basic academic disciplines: Topical Problems of Public Administration; Management Psychology; Communications and Public Relations; Economics and the Public Sector; Public Finances; Law; Selected Chapters of Sociology and Political Science; Social Policy; European Social Policy; Culture and Ethics of Relations; Management of Contingencies; Team Work; Topical Management Problems; Territorial and Settlement Organization; Information Provision of Territorial Units. Basic academic disciplines: Fundamentals of Management; Mathematics; Physics; Economics; Informatics; Foreign Language; Physical Education; Economics of the Industrial Enterprise; Mechanics; Materials Science; Statistics; Strength of Materials; Electrical Engineering; Electronics; Marketing; Technical and Economic Documentation; Philosophy; Hydraulics and Heat Engineering; Fundamentals of Design; Strategic Management; Planning and Prognostication; Accounting; Corporative Finance; Fundamentals of Law; Engineering; Industrial Technologies; Chemistry; Economics of Labour; Industrial Hydraulic and Pneumatic Engineering; Human Resources Management; Taxes and Taxation; Electric Drives; Reengineering; Logistics; Quality Management; Industrial Management; Economic Diagnostics; Industrial Sociology; Computer Aided Design; Internet Communications; Technical Automation Devices; Industrial Safety; Product and Promotion; Bank and Currency Transactions, Innovation Management. Head of the Department: Assoc. Prof. Peycho Ganchev, Ph.D. Basic academic disciplines: Macroeconomics; Mathematics; Microeconomics; History of Economics; Informatics; Foreign Language; Physical Education; Basics of Law; Philosophy; Statistics; Fundamentals of Management; Economic Theories; Economics of Labour; Economic Sociology; Psychology; Commercial Law; Finance; International Economic Relations and International Trade; Marketing; Commodities; Theory and Automation of Accounting; Trade Company Management; Trade Company Economics; Finance Management; Trade Company Accounting; Planning and Analysis of Commercial Activities; Political Science; Quality Management; Stock Exchange Transactions; Trade Company Logistics; Finance Management; Customs Control; Labour and Social Security; Hotel and Catering Industry; Small and Medium-sized Enterprises; Advertising and Communications; Consumer Behaviour; Sales Management; Market Research; E - Commerce; Quantitative Methods in Trade; Taxes and Taxation; Prices and Price Formation; Industrial Property; Trade Representation and Agency; Business Ethics and Trade Negotiations; Commercial Correspondence. Basic academic disciplines: Economics; Economics of Commerce; Trade Marketing; Statistics; Accountancy; Quality Management; Trade Company Management; Trade Logistics; Prices and Price Formation; Analysis and Planning of Commerce; Organized Markets and Stock Operations; Finance Management; Market Research; Information Systems for Commerce Control; Applied Economics; Commerce Enterprise; Euro-integration and Economic Cooperation; Competitive Power of the Trade Company; Distribution Politics; Quality and Standardization; Bank Service and Commerce; Application of Mathematical Methods in Social Work; Accountancy of Management. Head of the Department: Assoc. Prof. Ivan Petkov, Ph.D.
EDUCATIONAL QUALIFICATION DEGREE OF MASTER'S IN: Management of Economy; Marketing; Social Work; Public Administration; Economics of Commerce.